Sandy took the first one in the eye and saw red. 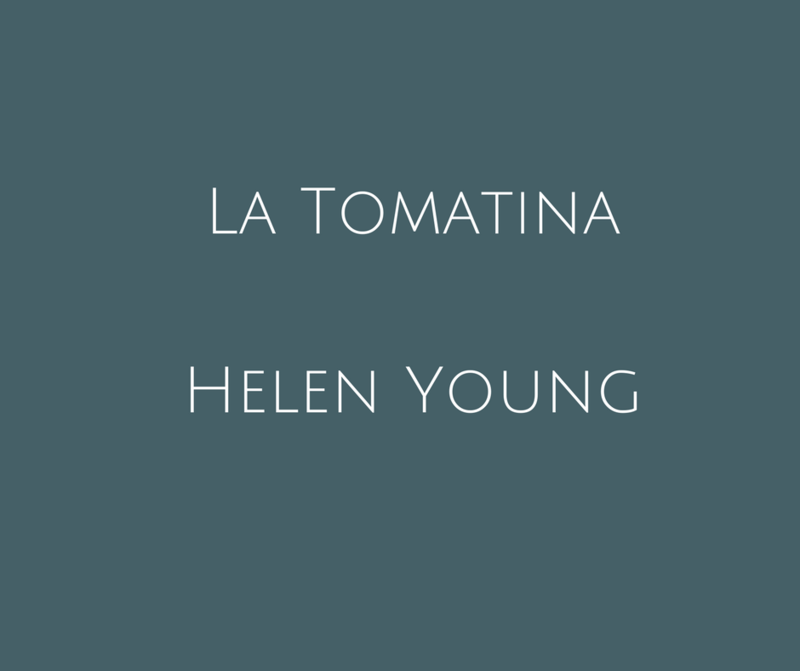 The second tomato hit her breast bone and bounced with a hollow thud. It hurt more than the first and this, coming unexpectedly, forced tears up with the pain. She met the shame of them by launching one of her own, missile-like, at the back of Brian’s head. Brian’s stupid head. He reached behind now, long-fingered to get at the pulp, scraping it away in one successful slop. He didn’t even look back. She loved that stupid head. Sandy was shoved forwards, and when she thought she might fall, grabbed around the middle. A lifetime of instinct sent her hands down to her waist. It was where she hated being touched. Once in bed, Brian had shown how he could manipulate the flesh there so it covered one hand. It had been cruel, him laughing at his lost wrist. Goaded by memory, Sandy shoved back hard, injuring thin air. She turned. Her assailant, she saw, had a better grip on someone thinner. ‘Brian?’ she called, looking front to find him gone. Those who’d filled the void stood calf-deep unaware. The pavement was a sewer, running river-like with the sweet earthiness of a hundred pummeled fruit. ‘Brian?’ she cried, tasting the wet air, whipped by sweat and juice. Hadn’t this been his idea, to take this exact spot at the thick of it? The one with the clear view of the restaurant they’d dined at each night of the trip so far? Brian insisting on that too. Sandy turned from the crowd; those close by picked fruit up from the floor to rub against their neighbours. Nothing good could come of it, she thought. The people clotted the space, turning the air sick with needy cries and it was like she was hearing how it sounded for the first time. ‘Please; again!’ Did she sound like that? Looking down, Sandy realised she still had a full bag, feeling the weight of it now against her calf – like she’d simply gone out shopping. He’d said she was mumsy. She’d only thrown one, at Brian. Great effort. A quick, anonymous hand tried to force-feed her something mashed and sour and she smashed out with her free one. ‘Puta!’ the man shouted, but she was gone, slipping dangerously to be free of the mob. Suddenly, she found herself on the edge looking in. The human soup had devastated the town, sending a sea spray of red up to rafter height. Then there was a familiar cry, coming from behind. It sounded like Brian when they argued, all pitched high above his register. Sandy wasted no time rushing after it. She didn’t have far to go. Still gripping the bag, she found herself at the top of the restaurant alley, peering in. It was when the third tomato hit that Brian finally turned, raising upwards to untangle himself, vine-like, from the waiter she’d tipped the night before. About the author: Helen is the author of The May Queen (published 25th April 2017 by Crooked Cat Books) and a digital editor. In a former life, she worked as a bookseller for Waterstones and an admissions assistant for an acting school, before signing up to a £12-a-day internship at a glossy magazine (when it was the norm). For the next six years (and on a better grade) she went on to write and edit for Harper’s Bazaar and Good Housekeeping. She is currently the digital editor for Bloomsbury Publishing. Helen attended the Faber Novel Writing Programme. She splits her time between London, Wiltshire and Colombia, when she can get there. The May Queen is her debut novel. Spring Sale! Discounted courses and critiques!